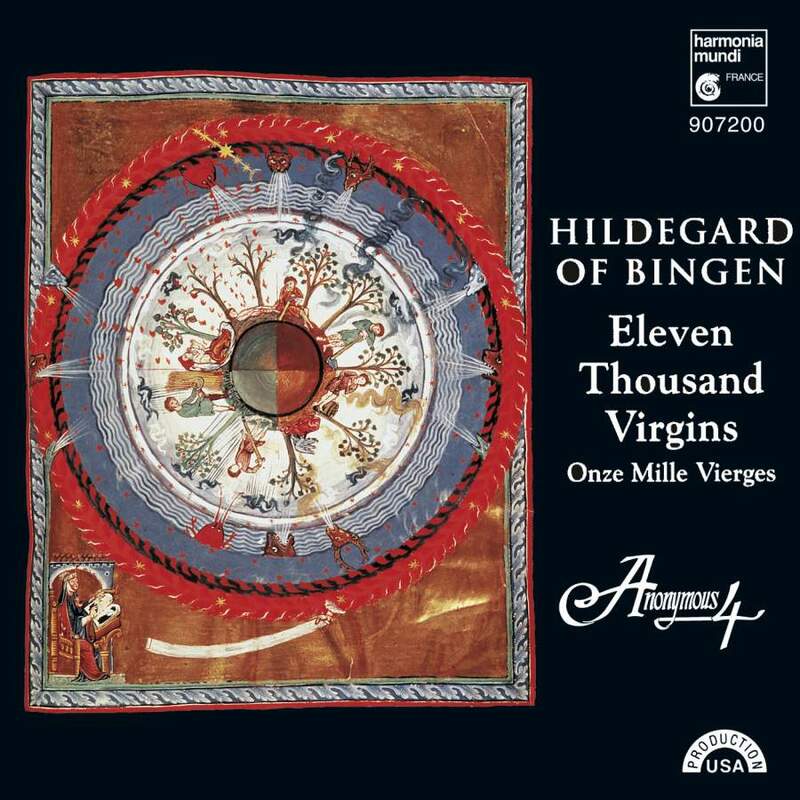 The unique mystical music of Hildegard von Bingen has captivated all who listen. The German nun, who was barely educated, put forth an enormous body of work as a result of visions. At the age of 43 she had a vision of tongues of flame which compelled her to write down her spiritual experiences. She wrote several liturgical works for the feast of St. Ursula and the Eleven Thousand Virgins, which was probably an important date at her convent. Anonymous 4 has chosen some of these pieces for this recording of Hildegard's music. The framework of the album consists of portions of Vigil, Lauds and Vespers. They have included other liturgical chants and psalms in addition to Hildegard's works to recreate the powerful impression they first made. With their vocal clarity and passionate singing, Anonymous 4 has been lauded for their brilliant interpretation of the music of Hildegard.